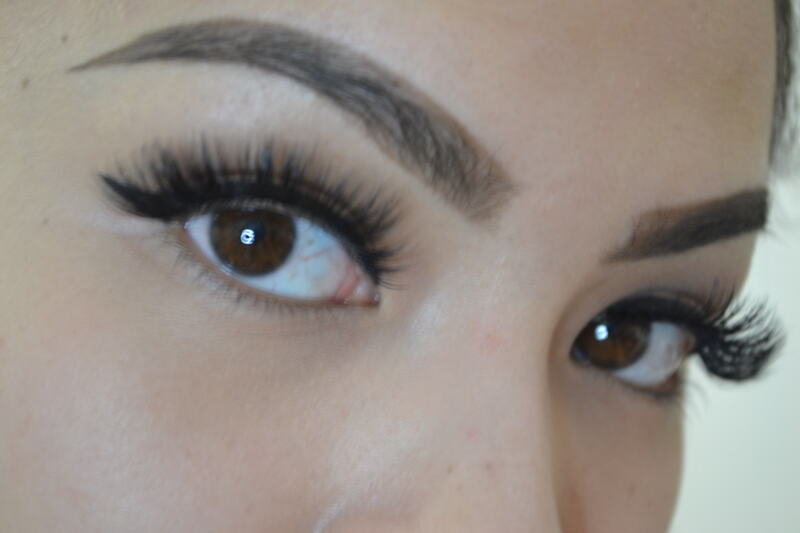 Anyone who loves flaunting a pair of big, beautiful mink falsies knows the struggle of first applying them. Sometimes you rip them when taking them out of their case, or place them so close to the tear duct that they irritate your eyes, or they begin to fall off while you're already out and about, or you get a little trigger happy with the glue. While some of us have managed to master the art of applying falsies, others have not been so fortunate and find themselves having to apply time and time again before getting it right. 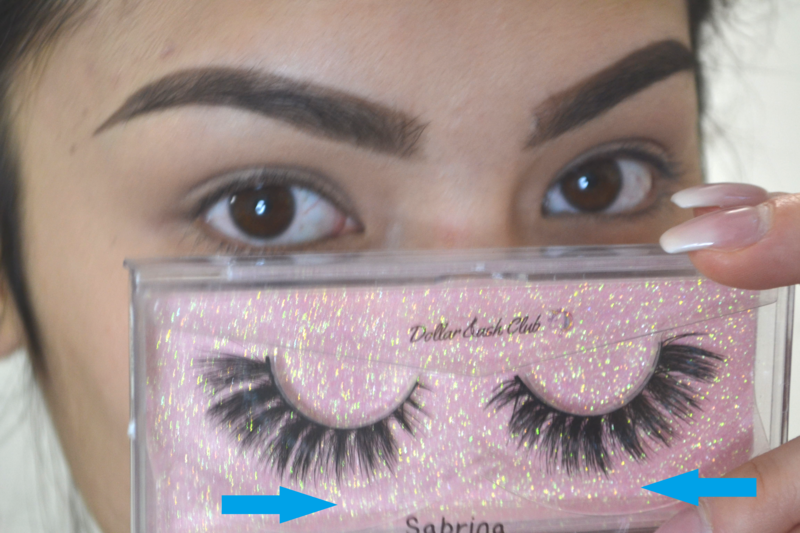 For those who are still struggling, we at Dollar Lash Club have created a simple step-by-step method using our "Sabrina" lashes to help you apply your pair of fabulous lash whiskers! 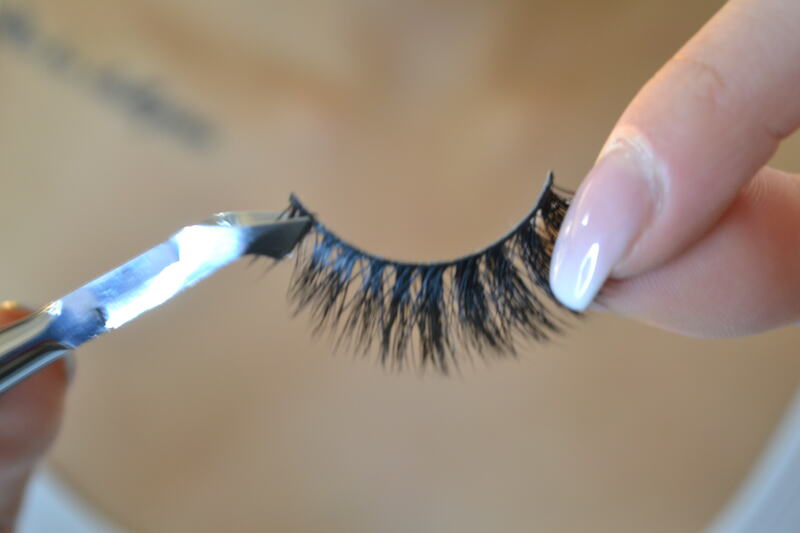 Step 1: Remove the lashes from their container by gently tugging on the lashes from the outer corner towards the inner corner. This way, if you accidentally rip the them, it will be from the end that you are most likely to trim off. Step 2: Give the lashes a good, yet gentle and subtle bend. This causes the band to curve more, reducing the likelihood of later lifting, and to helping the lashes conform to the rounded shape of the lash line better. Step 3: Looking down--but not fully closing your eyes--lightly place the lashes onto your lash line to gauge how well it fits. While still looking down, move your eyes from side to side to ensure that no matter where you're looking, they won't be poking or irritating your eyes. 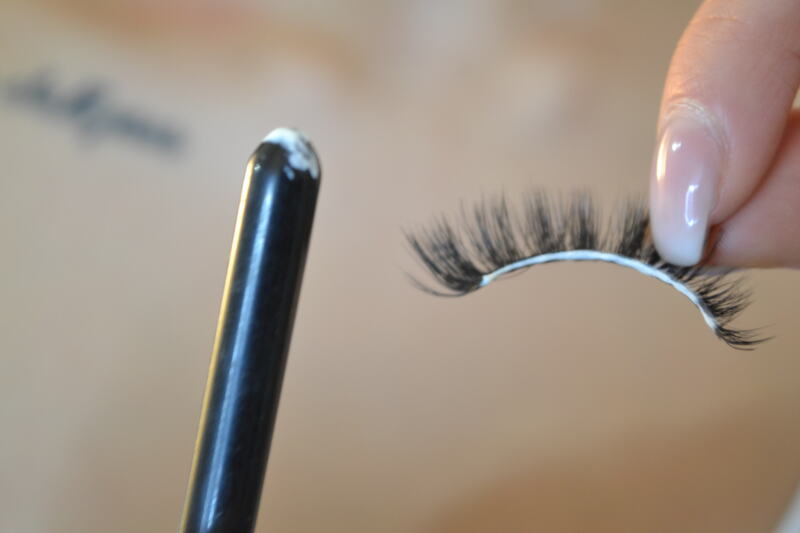 Step 4: Trim the lashes a little at a time, especially you're unsure about the fitting. You can always go back and compare the length to your lash line, then cut more, but if you cut too much there's no going back. Better safe than sorry! Some use regular scissors, cuticle cutters, or miniature scissors to trim. 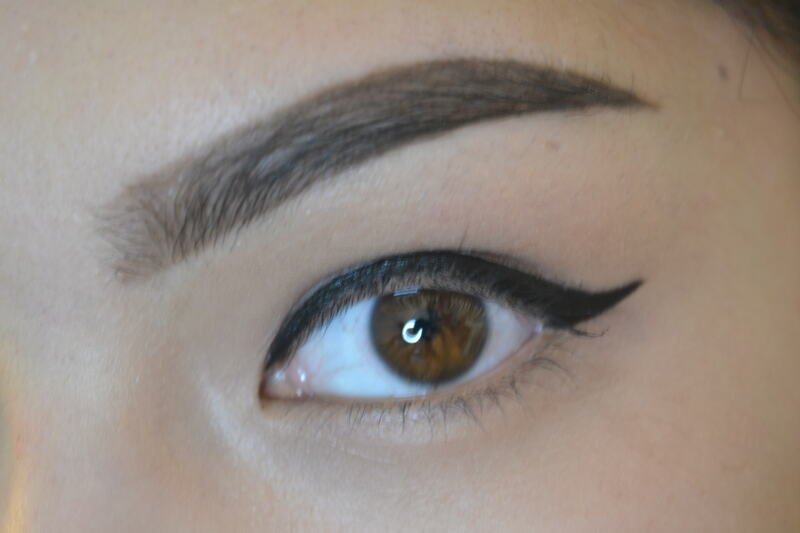 Optional Step: Apply eyeliner or any eye-make up now. I personally find applying my make-up before hand is much easier than doing it after, as the lashes are so big, they may get in the way! Step 5: Apply your the glue to the band. Some can manage a steady hand and do it straight from the tube, but for those who can't, it helps to squeeze out a little bit of glue onto the tip of something (ei. 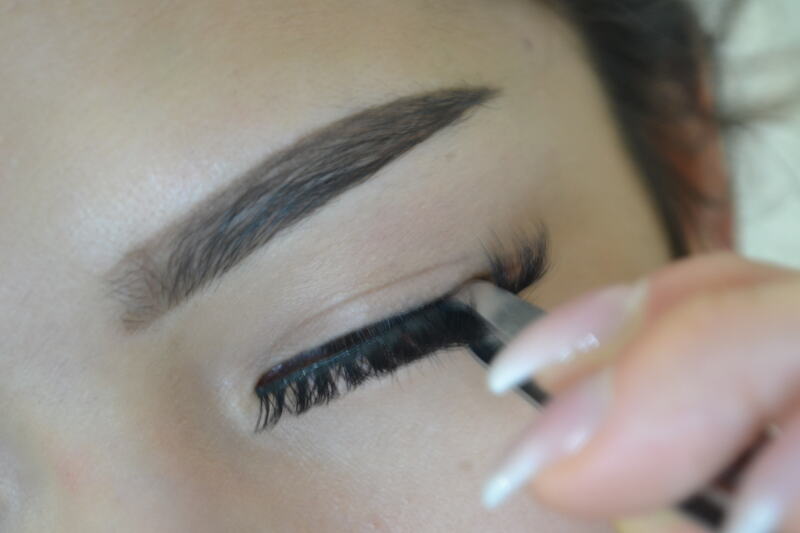 the back of a eye shadow brush, a q-tip, a freshly washed finger), then apply using that controlled amount. Be generous with the glue on the inner and outer corners to prevent lifting. Step 6: Let the glue become tacky! The tackier the glue, the better it adheres, but if you wait too long it will be too dry so be especially careful with this step. Some do this by patiently waiting, others wave the lash around profusely, others blow on it. Step 7: Again, looking down--but not fully closing your eyes--apply the lashes starting from the outer corners to the inner corners. Applying from the outer corners are more ideal for application because if you apply from the inner corner you may place the lashes too close to the tear duct, which will later cause irritation, watering of the eye, and lifting. 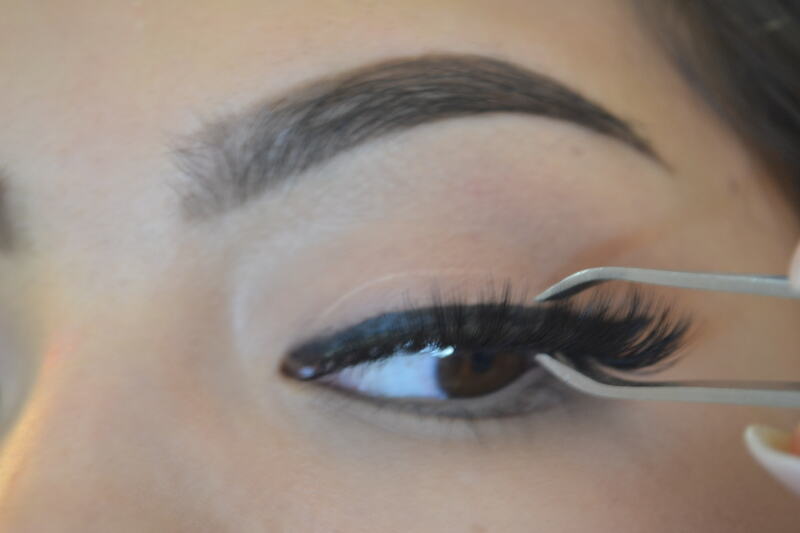 Hold the lashes in place while they dry. After it has successfully adhered, make sure it has been placed comfortably by moving your eyes around in all directions. There should be no irritation or poking, but if there is remove them and re-apply until there isn't! Trim again if need be. 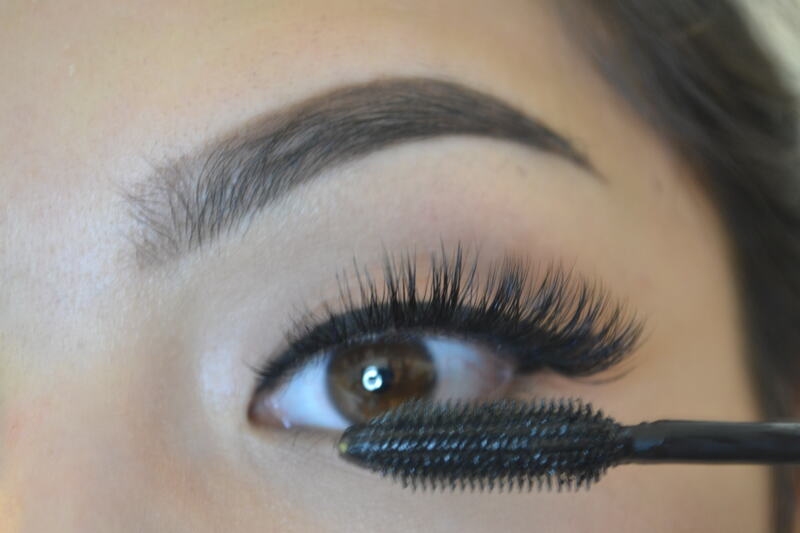 Optional Step: Apply mascara to blend your natural lashes with your falsies. Step 8: Flaunt those lashes! Bat them, wink with them, roll your eyes, you name it! Because whatever you do, you will be fabulous!